We recently released a new PvP mode in Fortnite: Battle Royale. This new game mode drops 100 players into a large 5.5 km^2 playable area to duke it out and see who will be the last player standing. 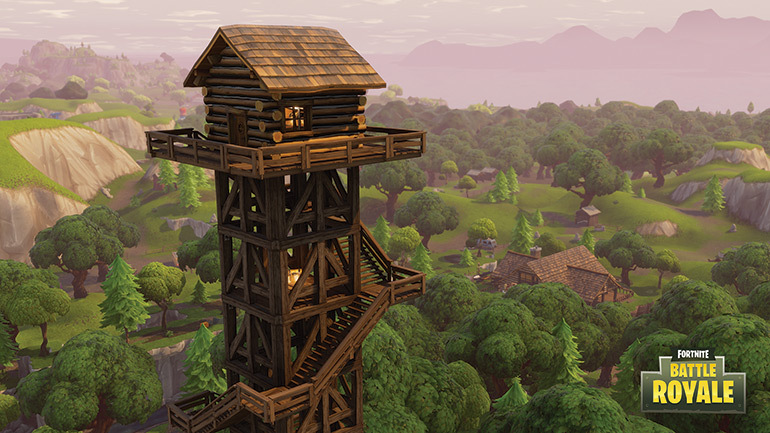 The scale of these requirements presented the Fortnite development team with several challenges, which will be discussed here. In the course of developing the Battle Royale game mode we’ve made many performance, memory, and workflow optimizations that not only benefit Fortnite: Battle Royale but every developer using Unreal Engine 4, especially those building games with similar requirements. All of these improvements are already available in both Perforce and GitHub. Many will ship in Unreal Engine 4.18 this month with the rest shipping in 4.19. Our first challenge was to optimize the dedicated server so that it could handle 100 simultaneous players, maintain 20hz, and minimize bandwidth. With every frame the server sends updates to all actors near that player. That means for each player we need to determine all relevant actors, figure out what has changed on those actors, and send a packet to that player with the differences. In order to minimize CPU time and bandwidth we need send the minimum updates needed to provide a good experience for players. Much of this work was profiling and optimizing the game code but we also found many engine optimization opportunities along the way. The map in Fortnite: Battle Royale has a playable area of 5.5km^2. You can see the entire map at once when parachuting in and we wanted to support long view distances during gameplay. We knew that we needed to optimize our level-of-detail solution to make that possible. We used the Hierarchical LOD (HLOD) feature in the engine, backed by Simplygon, to combine regions of the map into single low-poly meshes that could be drawn in a single draw call when viewed from a distance. Those tools already exist – we use them in Paragon – but we needed to make changes to allow our artists to be more efficient. The extended view distance and player counts of Battle Royale presented several performance and memory challenges on console requiring us to make improvements, particularly relating to memory. Much of this work was game-side content optimization but we also made a number of improvements to the engine. 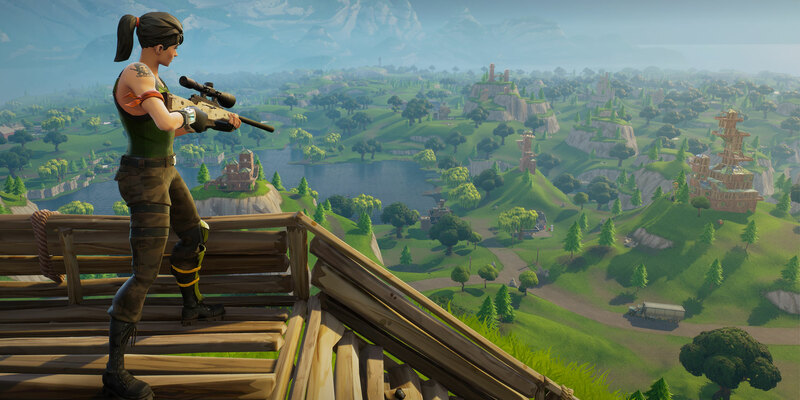 These are just the engine improvements that came out of shipping the first version of Fortnite: Battle Royale. Having had this experience, we’ve identified further improvements we’d like to make, especially related to level streaming and editor performance when working with very large maps, that will make our game teams and our users across the industry more efficient.